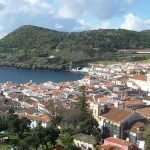 A lovely warm sunshine day with slightly cloudy and no wind, what could be better! 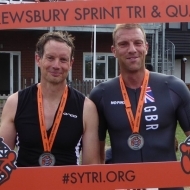 A excellent day’s racing at the 7th Shrewsbury Quadrathon, the Event just gets better each year and has always sold out …. 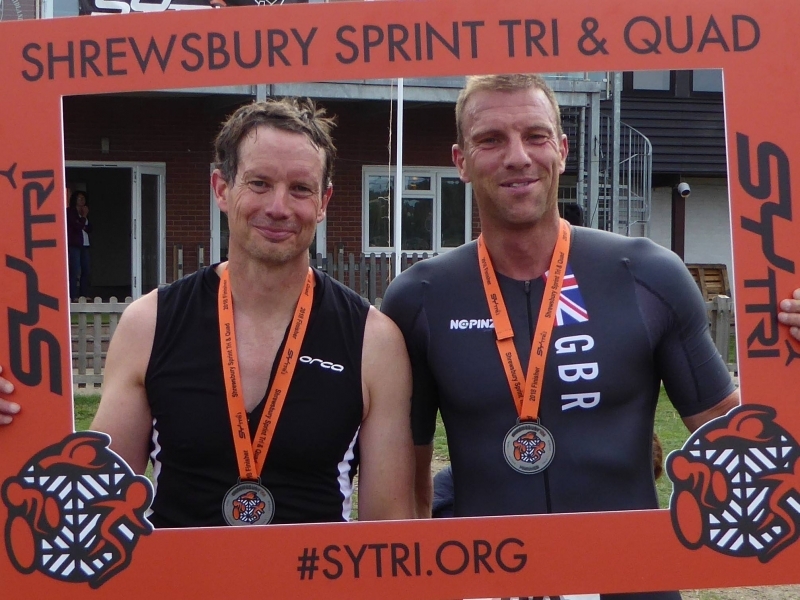 a true testament to the Event organizers SYTri and Phil Holden who took over from Gill Otto as SYTri Quad leader! 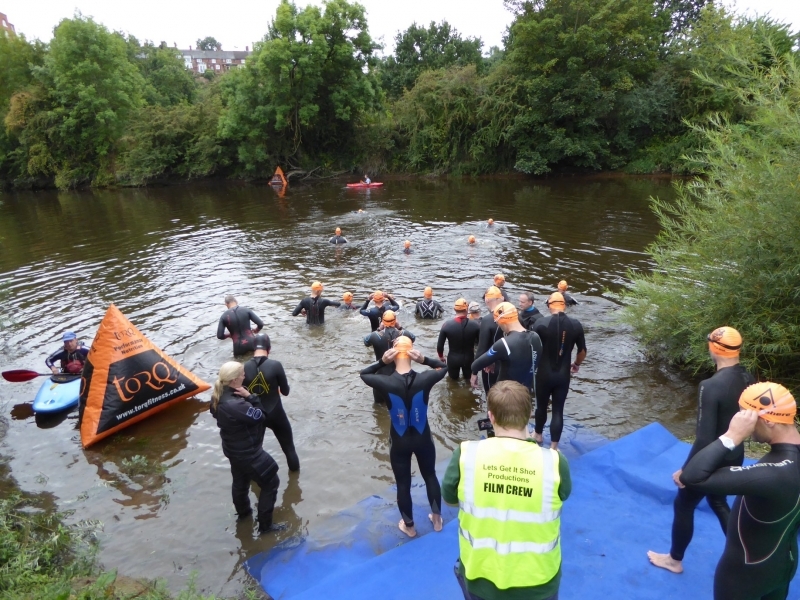 The start list was looking strong, with top quadrathletes and plenty of very good age groupers, as ever there were plenty of newcomers and the familiar faces we see in Shrewsbury every year, so without a doubt there was going to be some great racing ahead! 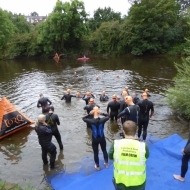 We had been told that the water temperature was a chilly 14ºC, which was quite a shock after the warm weather and the non wet suit swim at Box End Quad! 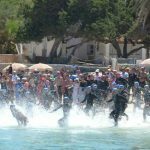 The Men’s race: Alan Cole (6.17) and Steve King (6.08) soon broke away, with Steve moving ahead in the final 100m to exit first, James Block came in 3rd (6.54), followed by strong swims from Nigel Unwin, Bryce Dyer and Cliff Odgers. James Block posted the fastest kayak time of 20:36 with Steve King posting the 2nd fastest time just 12 seconds slower at 20:48, by this time they were 3 minutes ahead of everyone else in the kayak leg. 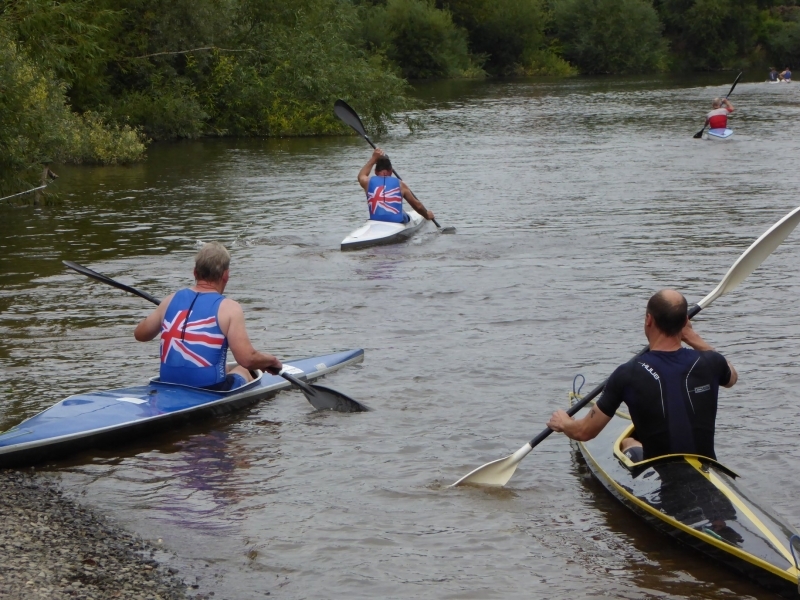 Nigel Unwin was 3rd in 23:35 and Iain Wood newcomer, produced an excellent split 23.52 in a barge of a kayak compared to the sleek K1’s up front! 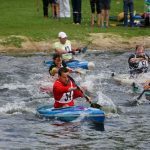 Alan, and Bryce both had strong kayak legs and were still in touch for a podium place. 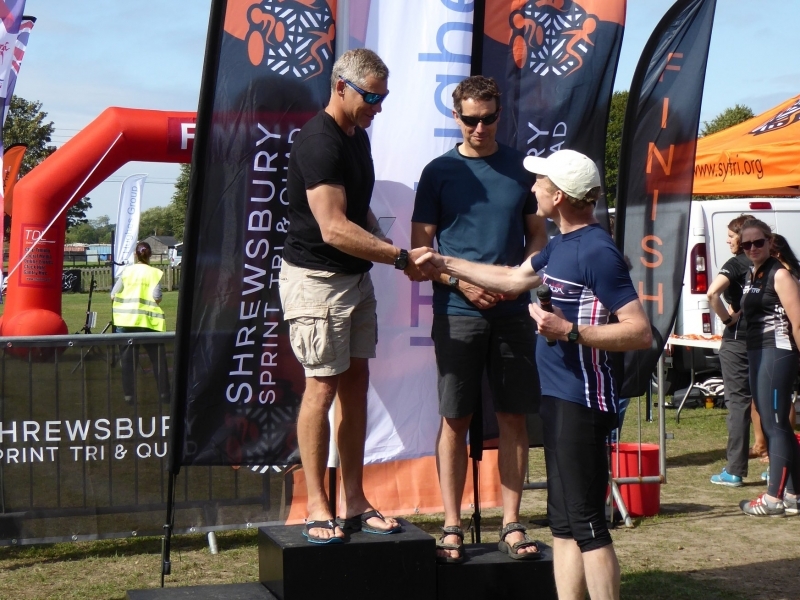 Steve was holding 1st place, with James, Nigel and Alan chasing him, then Bryce pushing his huge 62-tooth chain ring was flying and posted the fastest bike split by far with a time of 34:46 for the 14 mile course – very fast in anyone’s books! So onto the run they went in the position they came off the bikes, Steve, James, Bryce, Nigel and Alan, they were all running well and no one managed to break up this order so that is how they finished! 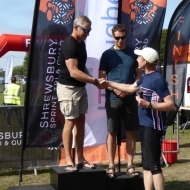 Special mention must go to John MacLeod who won the Vet 70 category, he has raced at 3 Quadrathlons this year and is our first ever Vet 70 British Quadrathlon Trophy Winner … Well Done John! 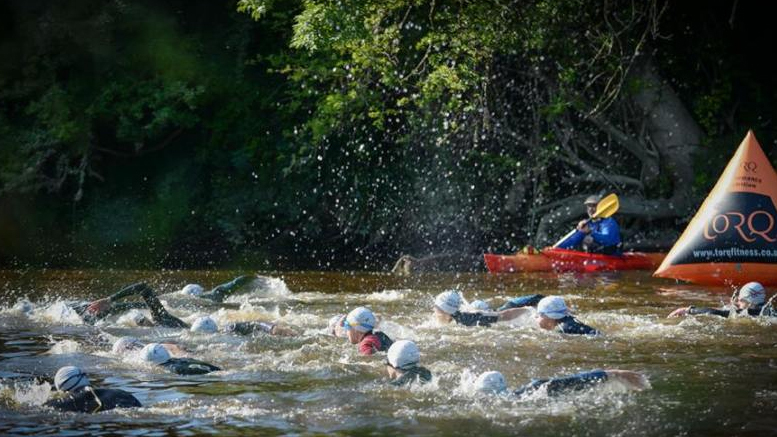 The Ladies race: was equally exciting, a good field of 15 women. 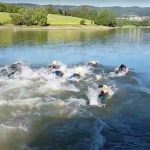 Jacqueline Davies went into the lead after a very fast swim (7.36)and was out of the water ahead of Timea Harris (8.01) crossly followed by Natalie Abbott (8.21) and Jean Ashley (8.24). Jacq was in her kayak first, with Jean and Timea close behind. 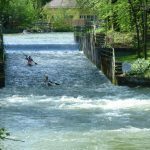 Jean moved into 2nd place, as Timea was having trouble getting in her kayak. Jean started to close the gap, but was joined by Timea, after the turn buoy they paddled together chasing down Jacq. Timea (25.48) moved ahead slightly, Jacq (26.14) stayed in 2nd place, with Jean just behind producing the fastest kayak split (25.36). Jacq and Timea went into transition together, followed by Jean. 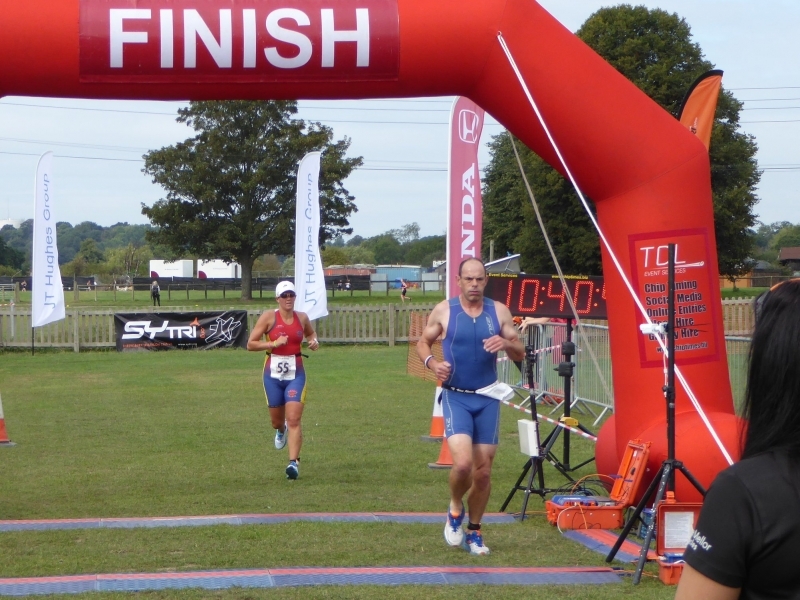 Jacq was on the bike and away she had a brilliant bike producing the fastest split (44:46). Other great rides were from Mary White (45.00) and Natalie Abbott (45.01). Jean maintained her 2nd place, meanwhile Natalie was chasing them both down. 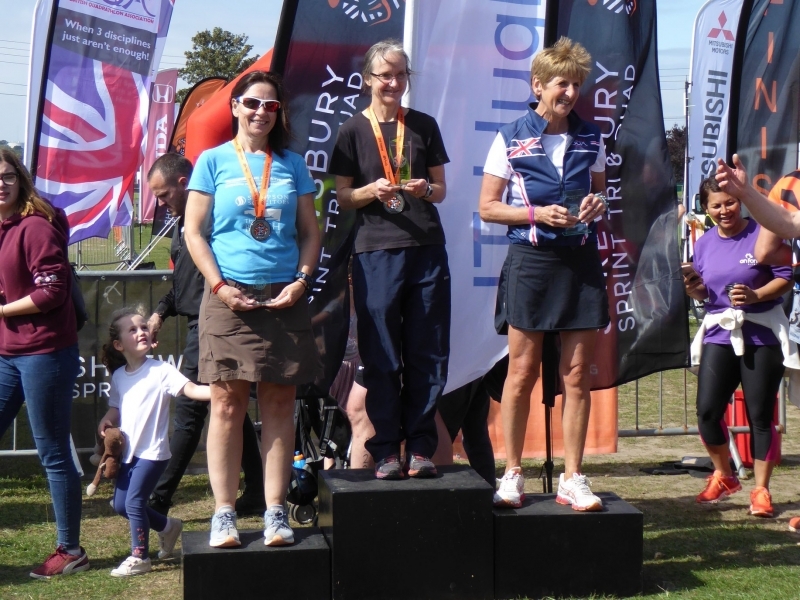 Jacq was first on the run, a good 2 mins ahead of Jean, each lap Jean having to work hard started to get closer … then on the 2nd lap running very fast Natalie shot past Jean and then Jacq, Natalie had the fastest run split (20.41) to take her first ever Quadrathlon Win, a fantastic performance! 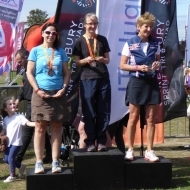 Meanwhile Jean with only about 800m to go over took Jacq and moved into 2nd place, Jacq was 3rd with Mary White Vet 60 putting in another fantastic performance coming 4th. Timea came 5th with Margaret Huyton also Vet 60 in 6th place! Like the men’s event 3 vet 60’s in the top 10 … looks like we are all ripening as we get older!! Again other great performances from BQA members Mandy Greenaway 7th, Anne Collins 8th and Donna Chappill 9th and Liz Angood 11th. A superb day, everyone enjoying the lovely weather and friendly atmosphere, as always its a real good feel good factor event, superbly organized and its always great to chat and catch up with everyone’s race stories afterwards! 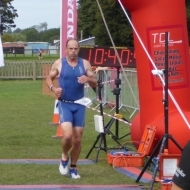 Phil Holden certainly did the BQA Proud and gave a lovely presentation, with great recognition to our Age Groupers too …. everyone finished with a smile and I heard so many positive compliments I’m sure the race will be full again next season! 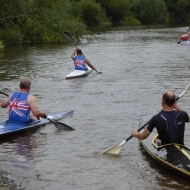 Be the first to comment on "A superb day at Shrewsbury Quadrathlon"